Having trouble finding affordable life insurance with Aortic Insufficiency? Can Individuals with Aortic Insufficiency Qualify for Life Insurance? Yes, most individuals with Aortic Insufficiency will be able to qualify for traditional life insurance, the type of insurance which requires a medical exam. But you will need to speak with a knowledgeable, independent agent, who is licensed with several life insurance companies for your best chance at approval. Moderate Case – Cases of Aortic Insufficiency that presents aortic murmurs, atrial fibrillations, PVCs, plus moderate symptoms of chest pain or shortness of breath, but does not present severe heart damage may still qualify for a “Medium Substandard” health class. Click here for a quote at “Medium Substandard”. 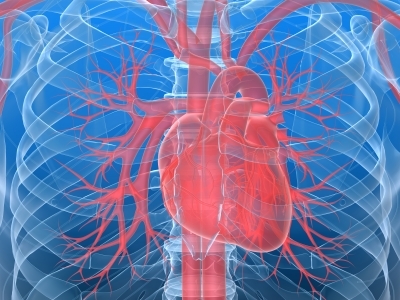 When was your Aortic Insufficiency diagnosed? Early detection and treatment may present a very good prognosis and, therefore, get you a “Mild Substandard” rating. Have you experienced any chest pain, back pain or leg pain within the last six months and how often? Frequent symptoms of Aortic Insufficiency with no definite trigger factors may be a sign of an unstable Aortic Insufficiency that may need further evaluation to get the appropriate rating. Are you taking medications to relive your symptoms? The need for medications for Aortic Insufficiency helps control blood pressure and maintain normal heart function. Compliance to medications can be seen in your vital signs (heart rate, blood pressure, respiratory rate). Good and stable vital signs may get you the best rating, provided, this is also confirmed by laboratory and diagnostic exams. Do you have regular check-ups with your physician? Regular visits to your doctor may mean that your condition is controlled and managed well by your physician. This is a good sign of compliance and may get you a good rating. ECG tests done in the past plus a most recent one will show a comparison whether your condition has changed within the last 6 months. If there are no changes seen this may be considered a stable case of Aortic Insufficiency. Risk factors such as cigarette smoking, high blood pressure, high cholesterol, family history of heart disease and a sedentary lifestyle may cause you a decline. These are very important factors to determine because if one of the following is present it may contribute to trigger serious heart complications in the future. Medical conditions like diabetes, left ventricular hypertrophy or coronary artery disease may be the cause of Aortic Insufficiency, which will need further assessment to determine appropriate health class. Aortic Insufficiency (AI) is also called aortic regurgitation that produces abnormal heart sounds called aortic murmurs. This condition is the result of blood leaking from the aorta back into the left ventricle of the heart. The abnormal conditions in the aorta can be due to narrowing from plaque buildup, leaking heart valves or abnormal passages through or near the heart. These conditions cause abnormal heart sounds to be appreciated through a stethoscope. Symptoms of Aortic Insufficiency include difficulty of breathing upon physical exertion, shortness of breath while lying down, palpitations, chest pain and bluish discoloration of the skin and nail beds.